Dover F.C. 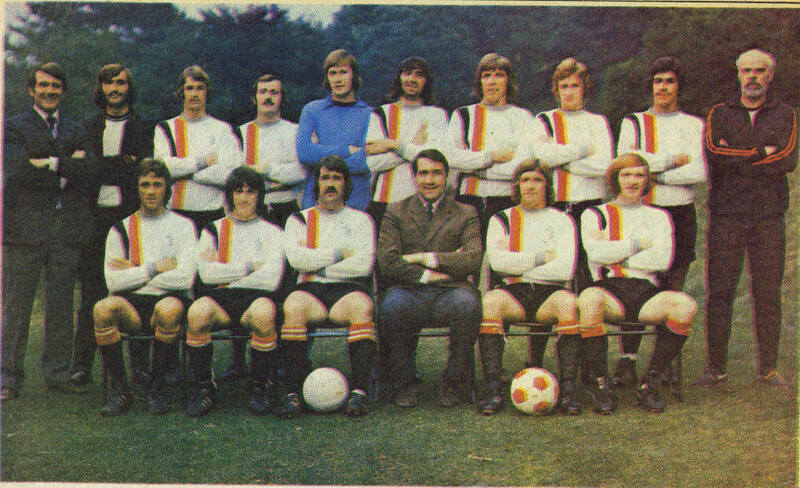 pictured before the Crabble match against Grantham on Saturday, 1st.September 1973. Unfortunately the printer has not co-ordinated his colours properly! Back Row(left to right): John Arnott(Club Coach), Alan Hughes, Alan Fursdon, Tony Moy, Mick Gadsby, Alan Wright, John Kurila, Barry Thornley, Les Hall, Jim Blaikie(Trainer). Front row(left to right): Kenny Reynolds, Chris Hamshare, Jimmy Stevenson, Terry Adlington(Manager), Keith Robinson, Keith Down.